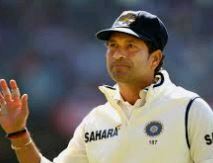 STORY: Indian batting great Sachin Tendulkar on Thursday (November 01) said batsmen need to step up their game if they are to win test matches against Australia on their own turf. He made the comments at Tendulkar Middlesex Global Academy’s second cricket camp in Mumbai. Tendulkar has joined forces with Middlesex Cricket to launch an academy for budding male and female cricketers between the ages of nine and 14. Tendulkar, the world’s leading run-scorer in both tests and one-day internationals, said skipper Virat Kohli’s chances of conquering Australia would increase if the Indian batsmen are able to tackle the new ball, survive the first 25 overs and pile on the runs. India was able to muster a score of excess of 350 only once in 10 innings during their closely-fought test series against England, their most recent overseas tour. Tendulkar was also in awe of Kohli’s consistency with the bat as the latter completed 10,000 one-day international runs during the West Indies series in record time. Kohli broke the record of Tendulkar, who had reached the milestone in 259 innings. Kohli took only 205, becoming the 13th cricketer to reach 10,000 runs.